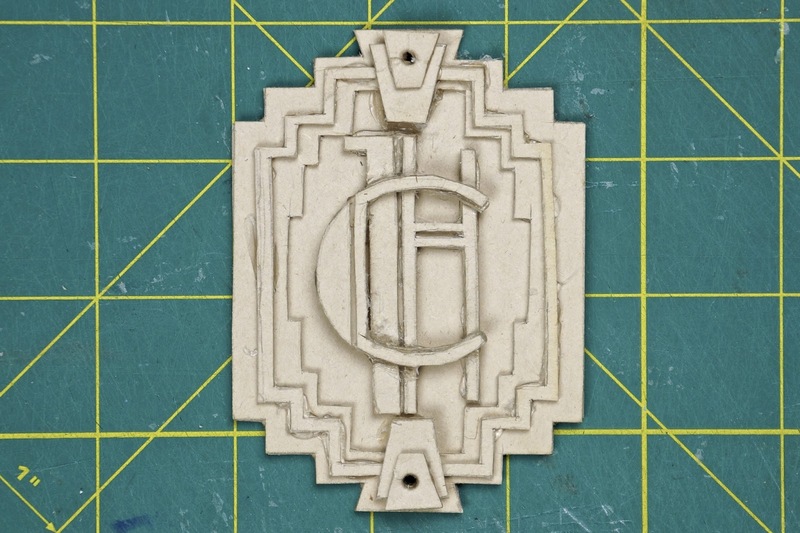 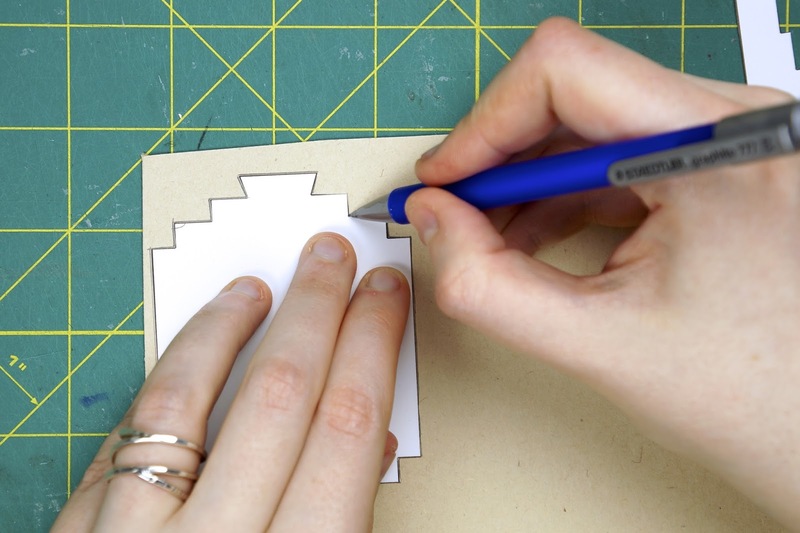 *you can choose to make the key fob portion of this ornament by directly using the cardstock template pieces or by tracing those pieces onto some cardboard for a more dimensional look. 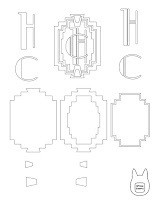 First you will need to print out the key fob template on thick cardstock paper. 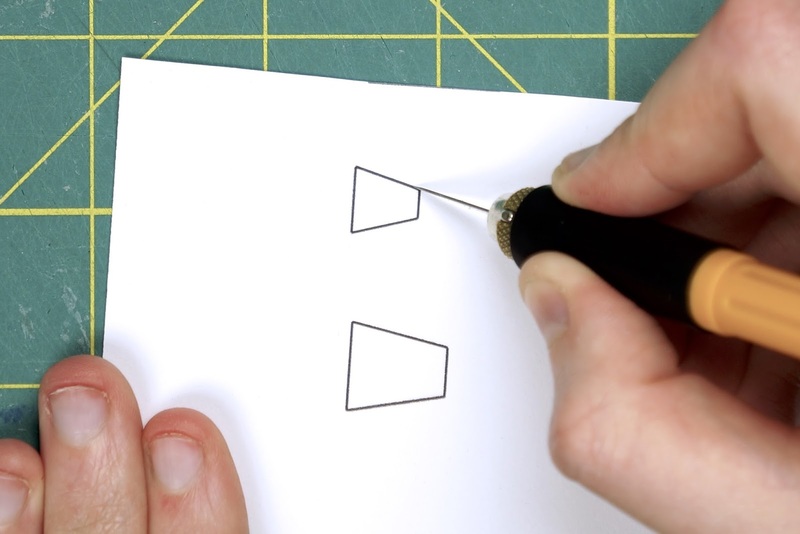 The template can be found here. 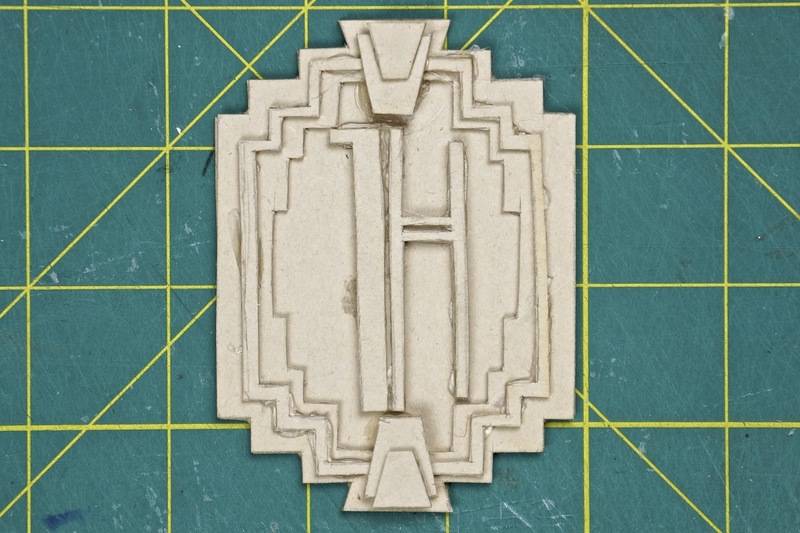 Cut out the back of the key fob and the border of the key fob. 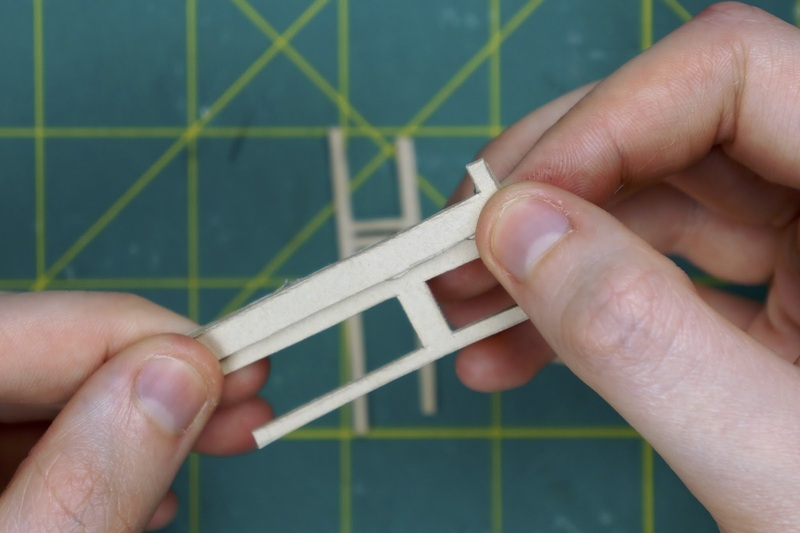 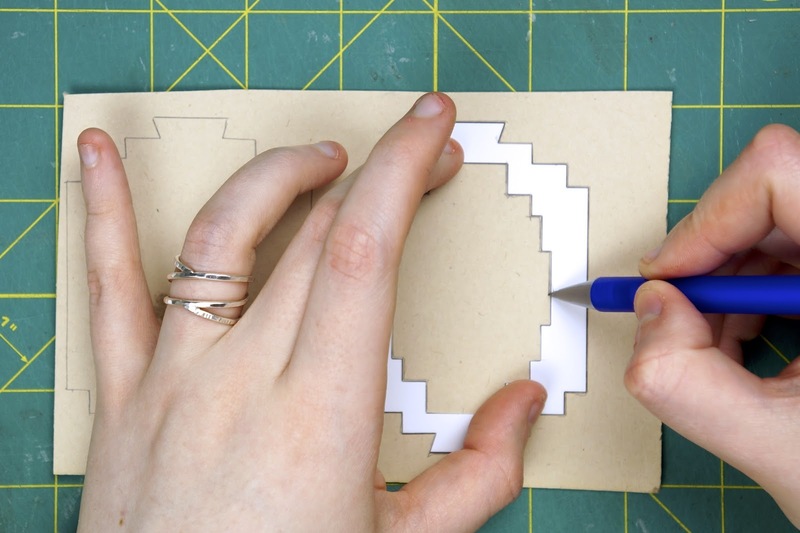 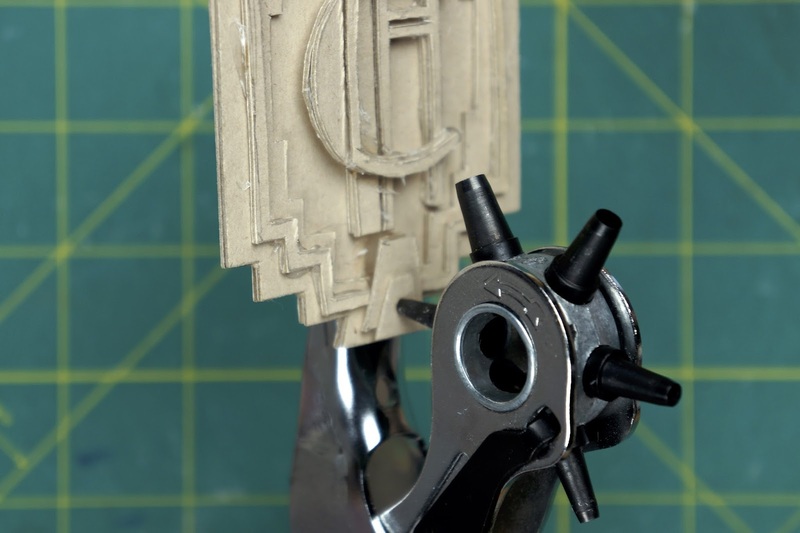 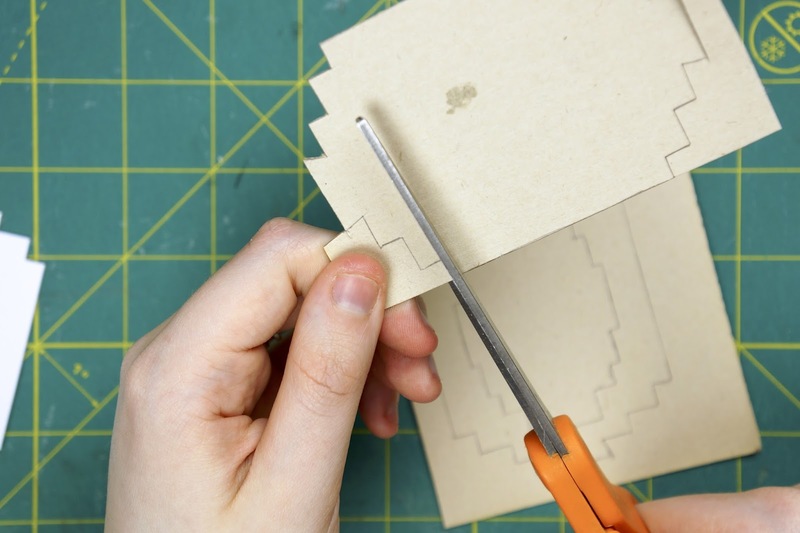 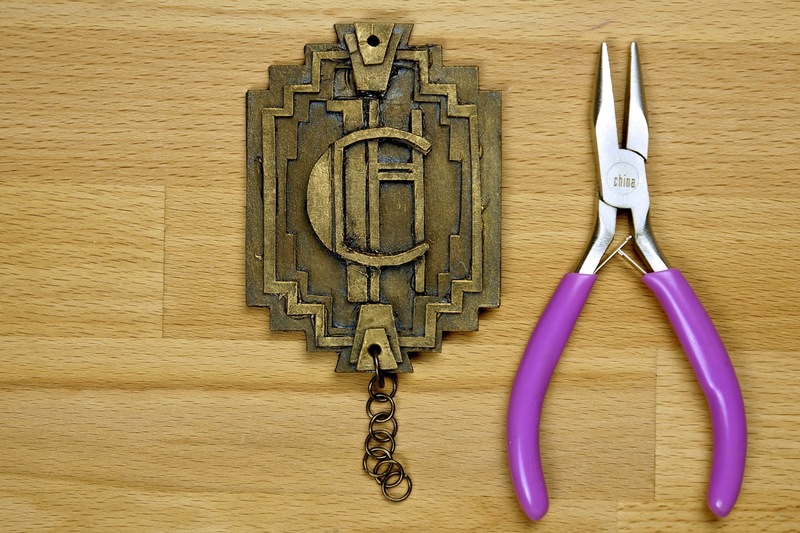 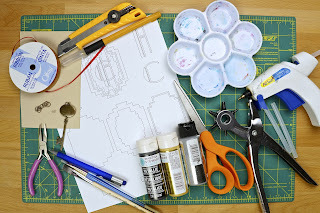 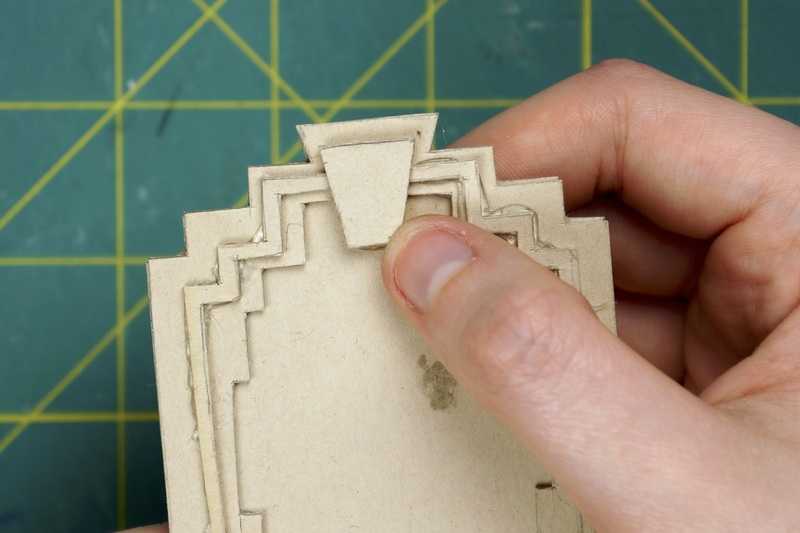 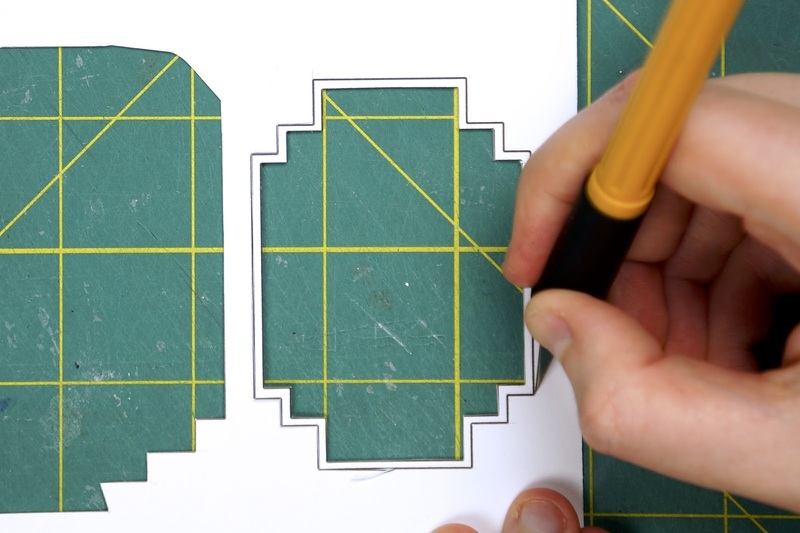 If you are planning on using cardboard to create the key fob, trace the 2 template pieces onto your cardboard, then carefully cut the cardboard pieces out. 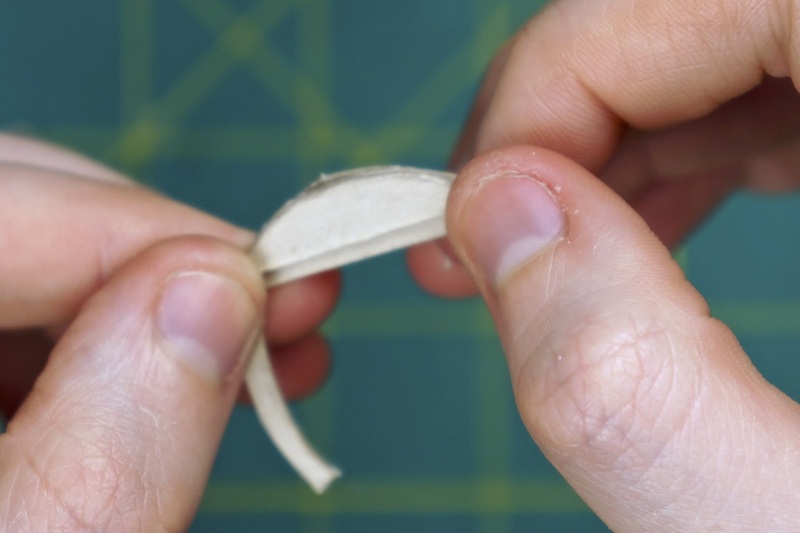 Glue the border of the key fob onto the back key fob piece. 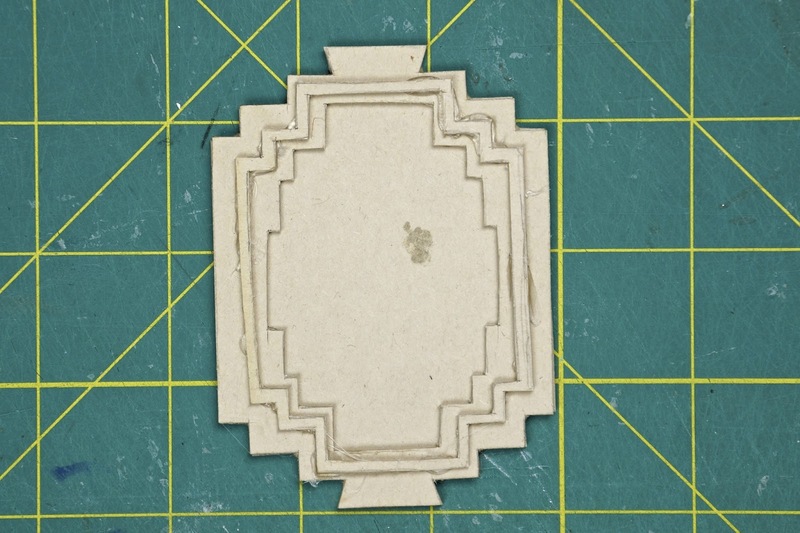 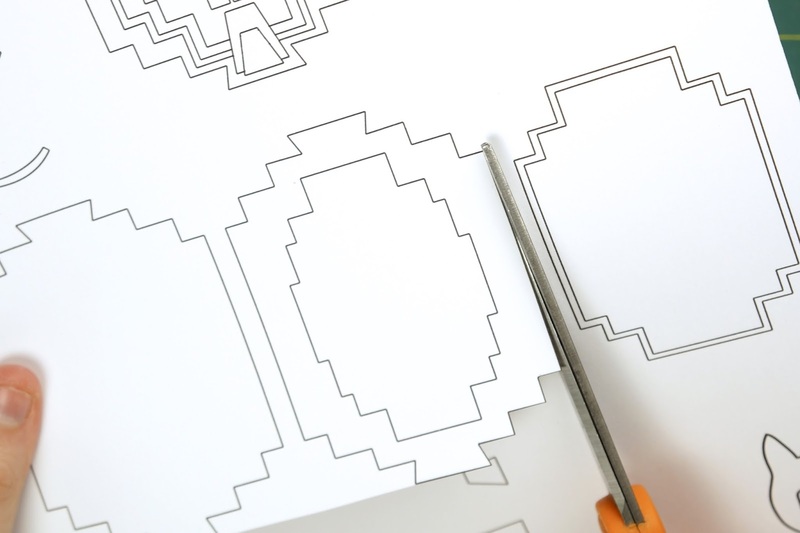 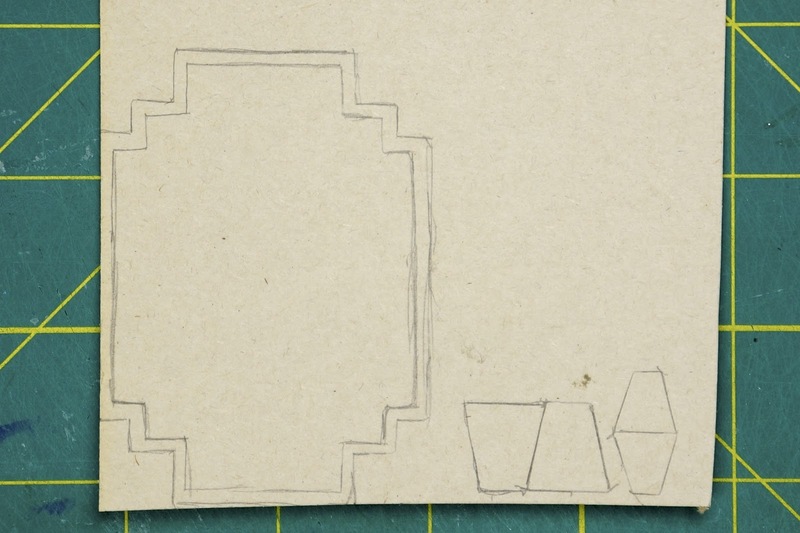 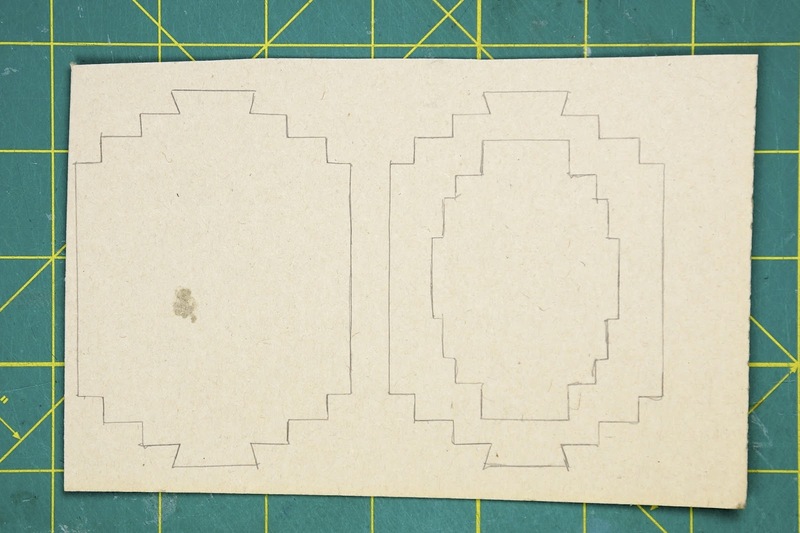 Trace the border design and trapezoid pieces onto your cardboard. 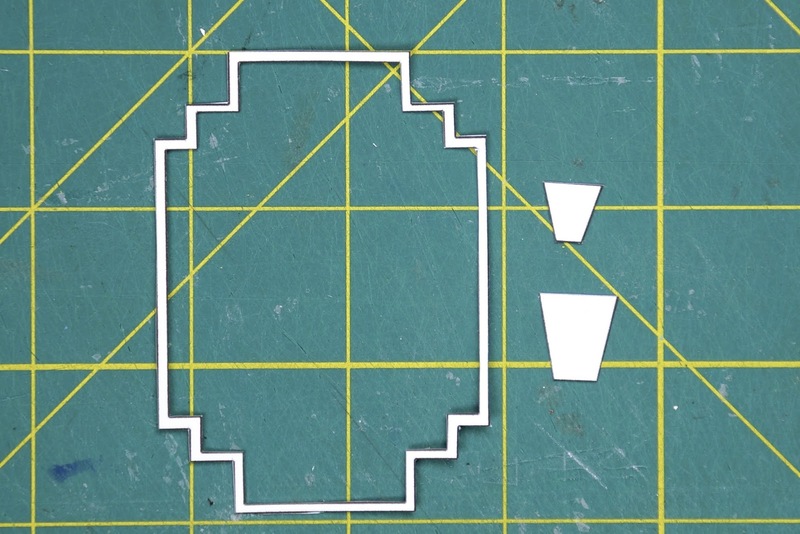 Make sure to trace 2 of each trapezoid size (2 small, 2 large). 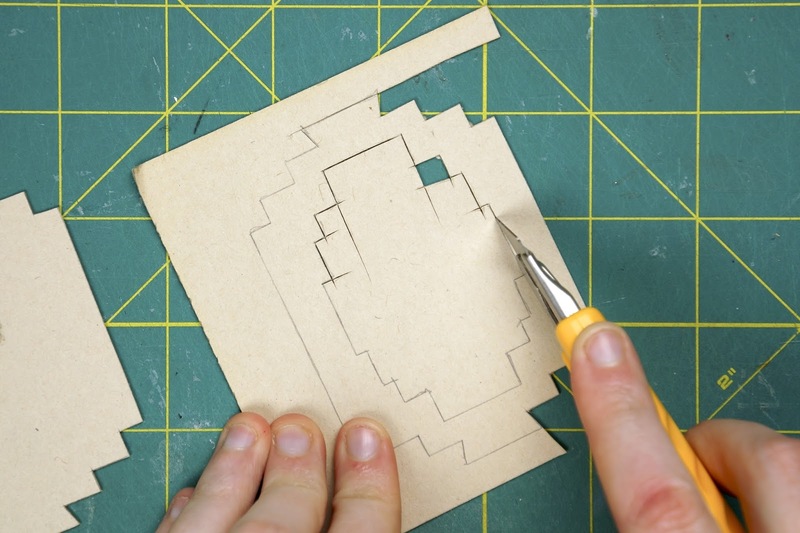 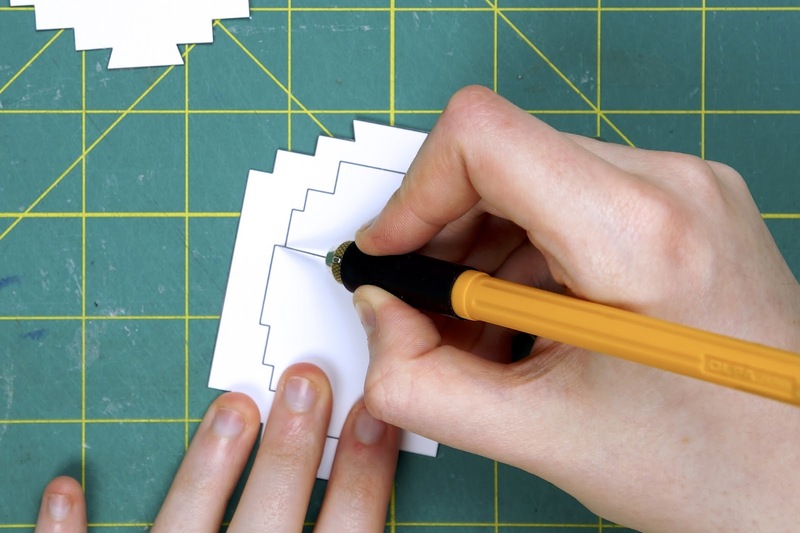 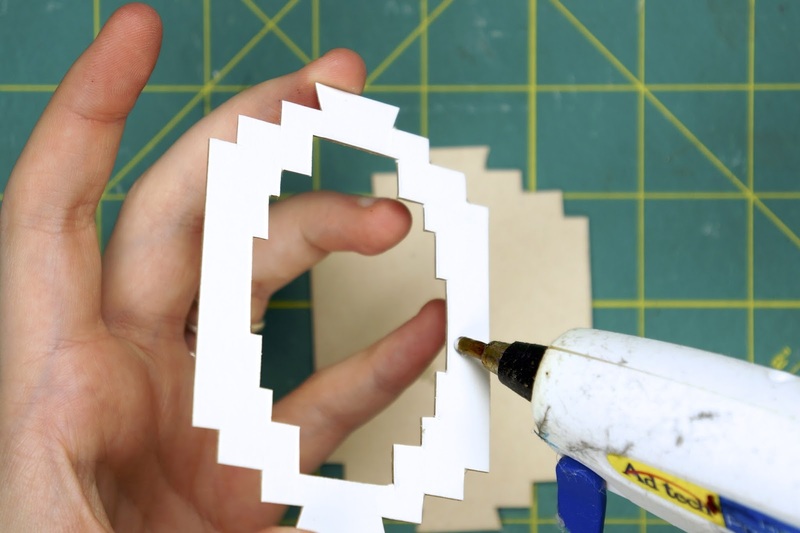 Cut out your cardboard pieces. 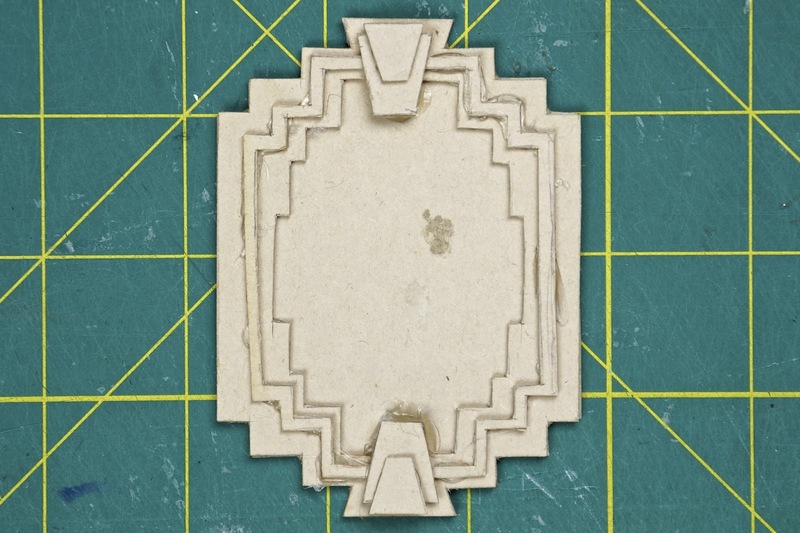 Glue the border design onto the raised tag border (you might want to use the finished key fob design from the template to help you position it). 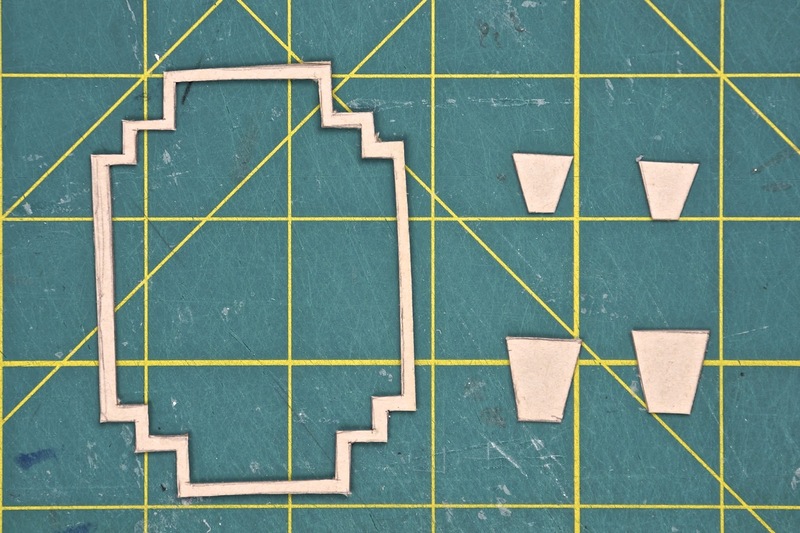 Next glue the larger trapezoid pieces to the center of the top and bottom of the tag. 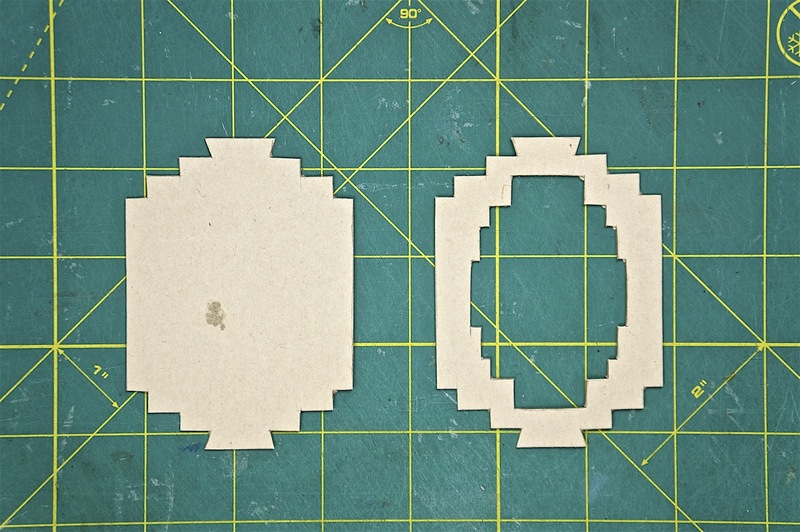 Then glue the smaller trapezoids on top of the larger ones. 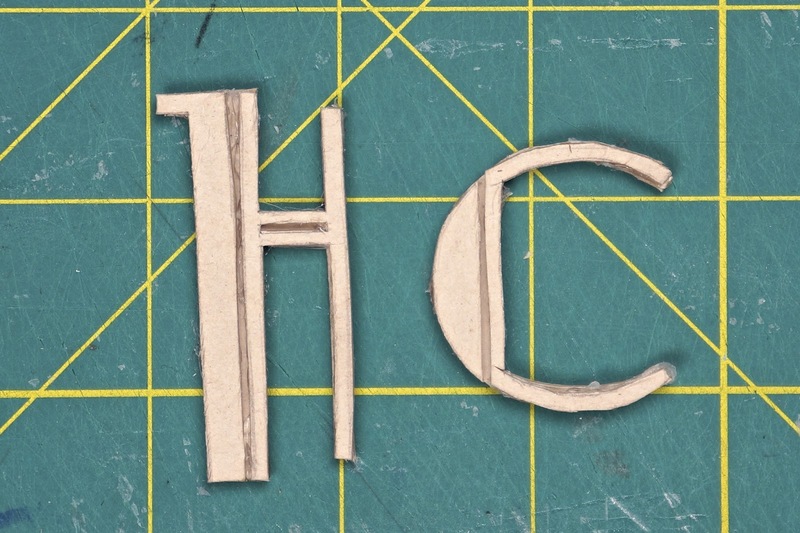 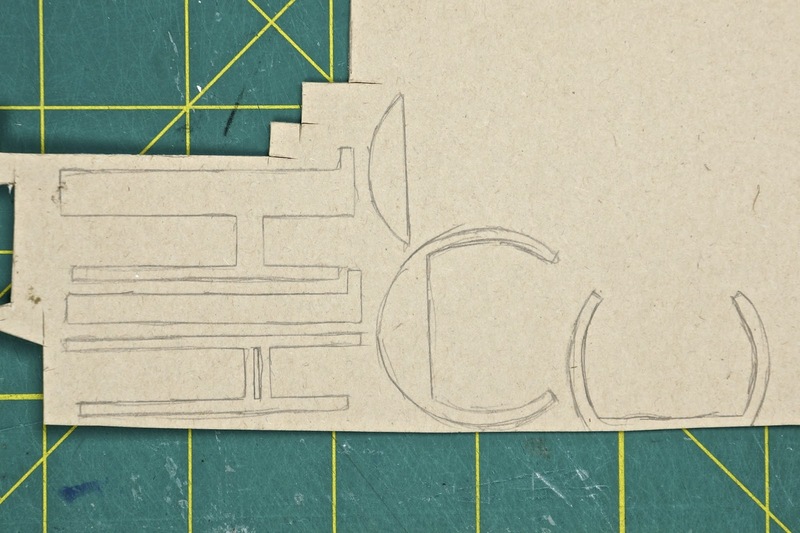 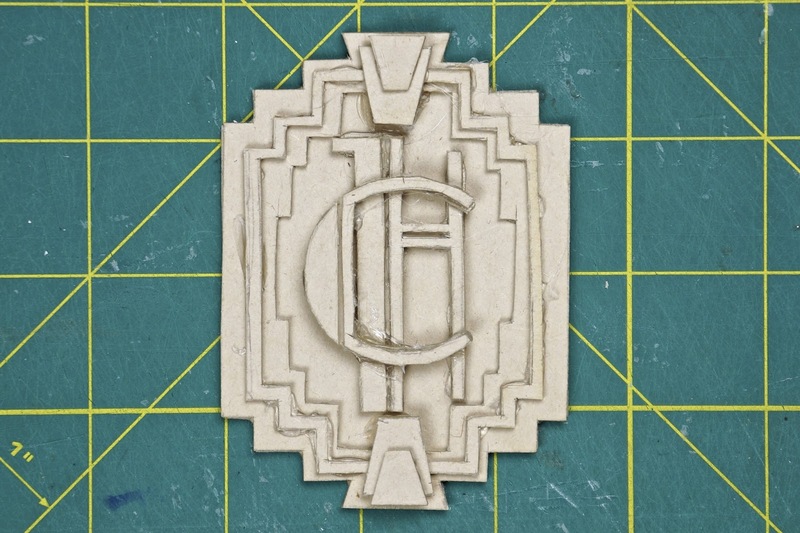 Cut out the full 'H' and 'C' as well as the split design 'H' and 'C'. 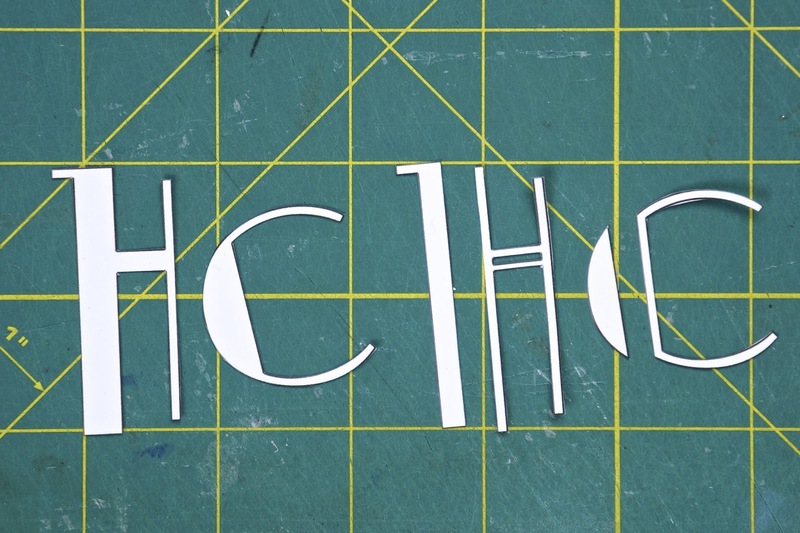 Trace and cut out the 'H' and 'C' pieces. 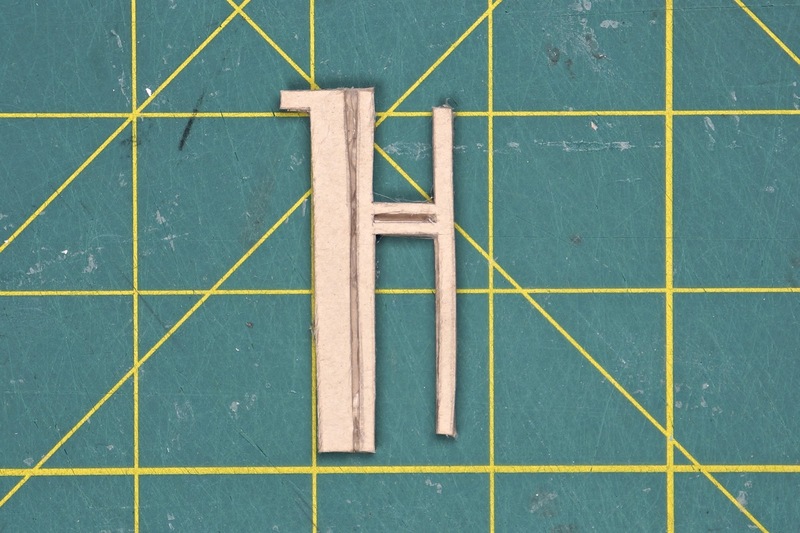 Glue the 'H' split design pieces to the solid 'H' piece. 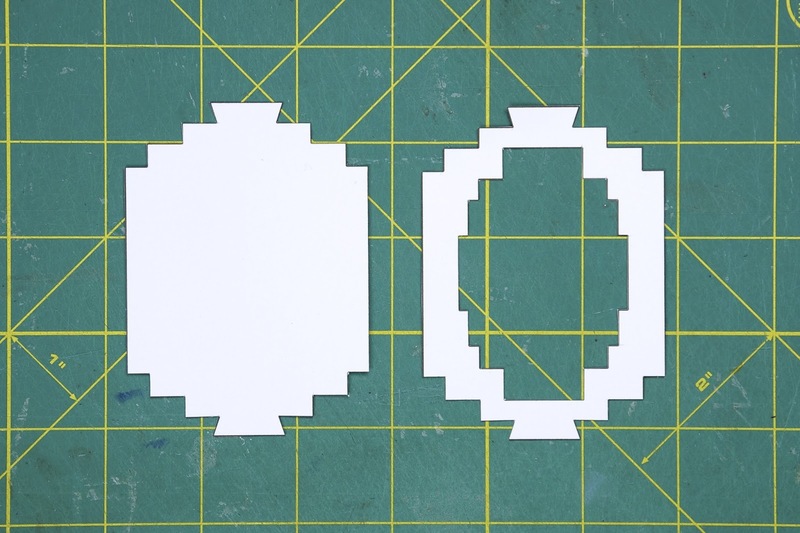 Do the same for the 'C' pieces. 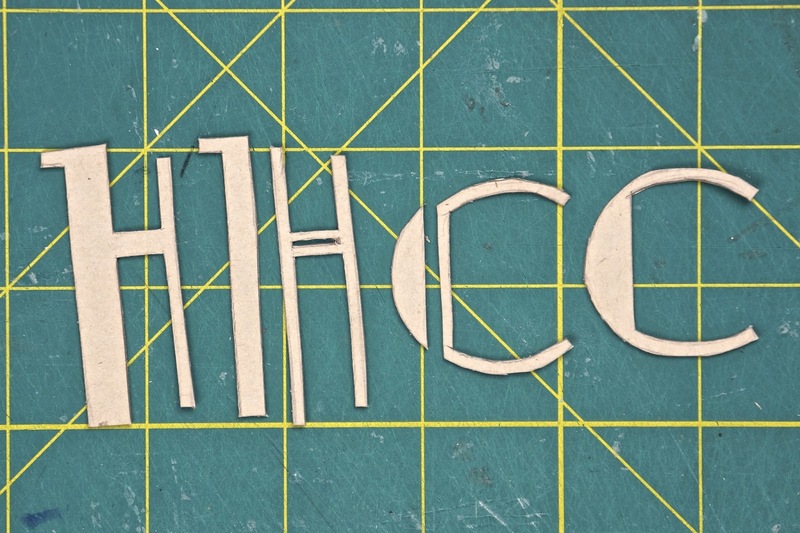 Glue the H onto the back of the tag (use the template for placement) then glue the C on top of the H.
Punch a hole into the top of the tag and into the bottom of the tag. 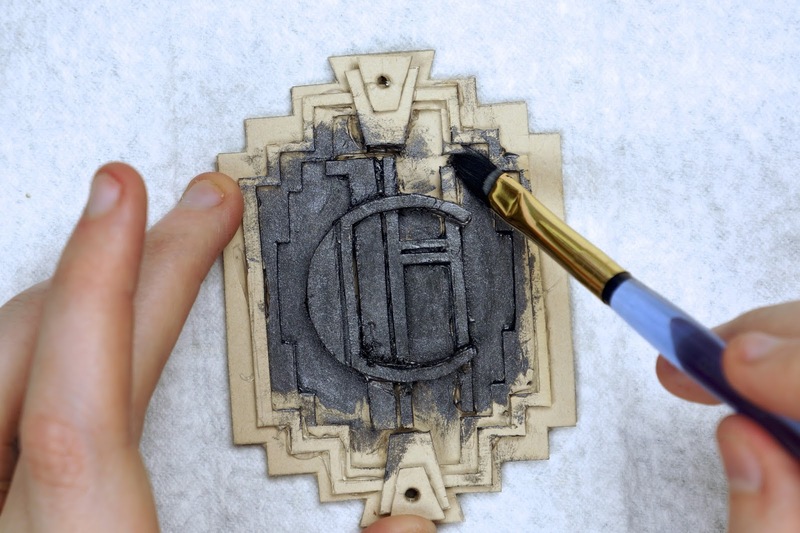 Now it's time to start painting the tag. 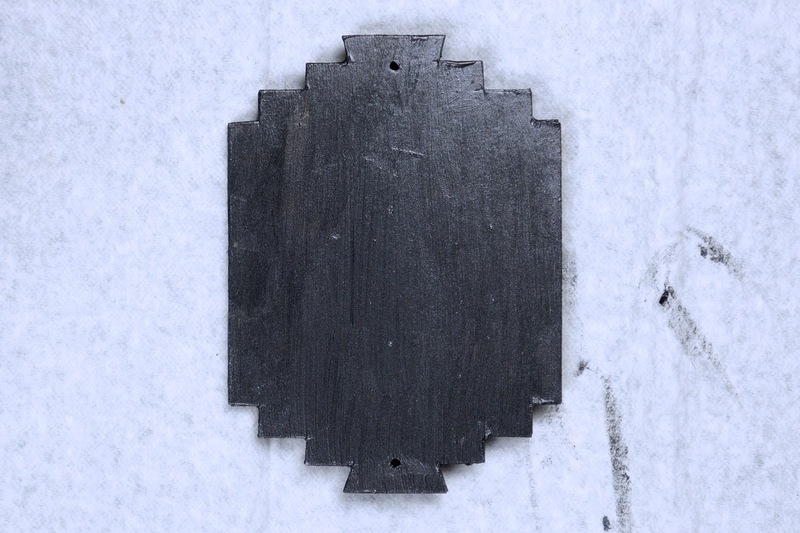 Begin by painting the entire tag a dark gunmetal/ black. 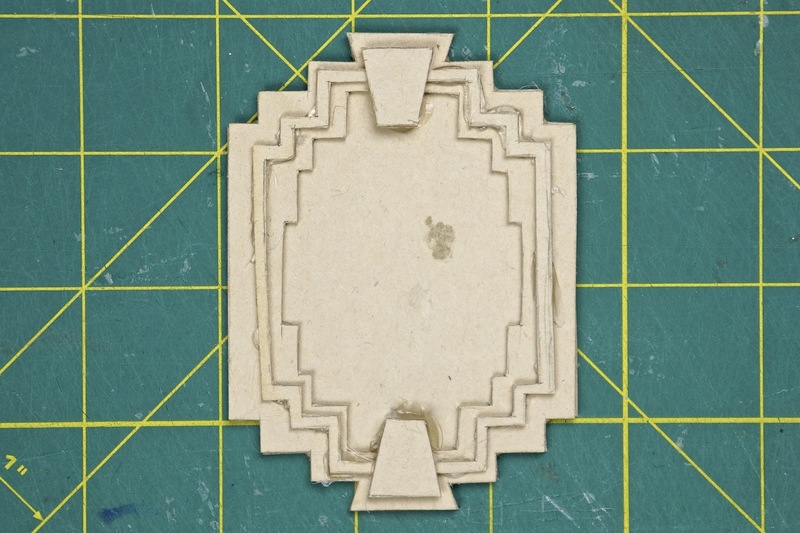 Make sure to get into all of the nooks and crannies as well as painting the sides and back. 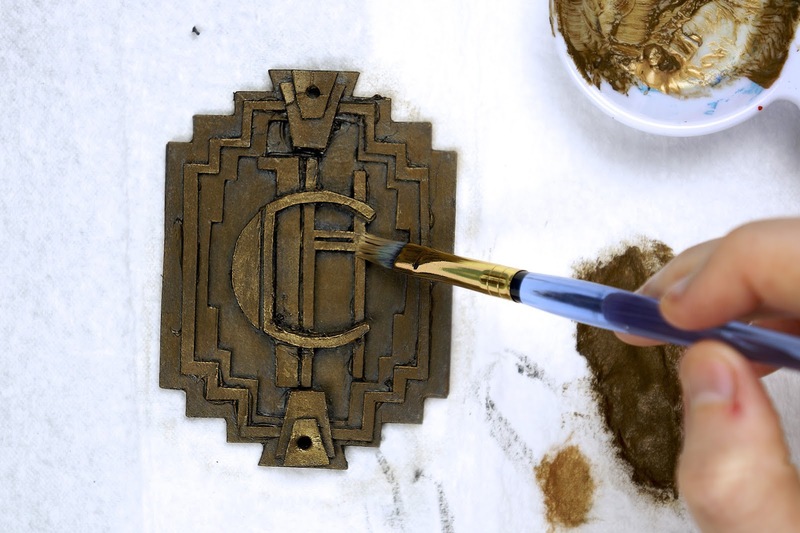 Take some of your bronze/ aged gold paint onto your brush then dab the excess paint onto a paper towel/ newspaper. 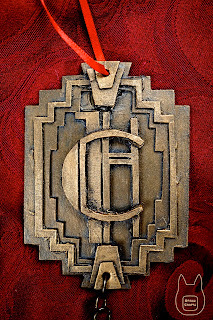 Begin to dry brush the tag with the bronze paint. 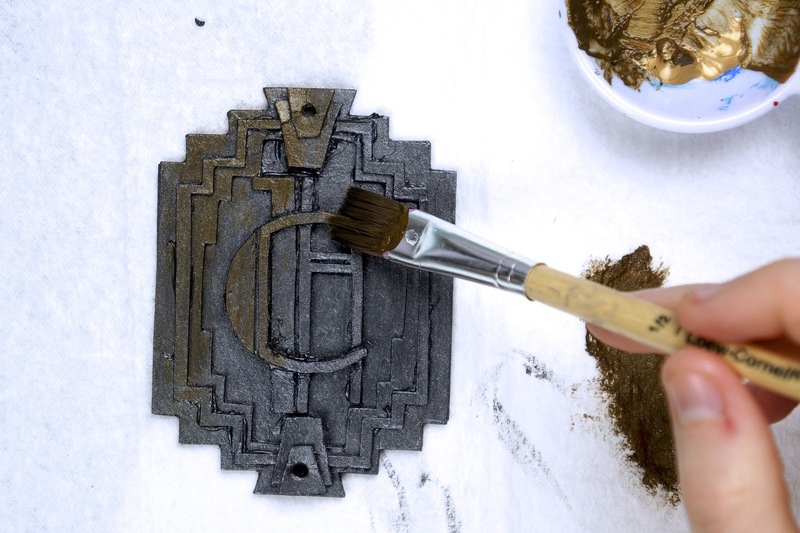 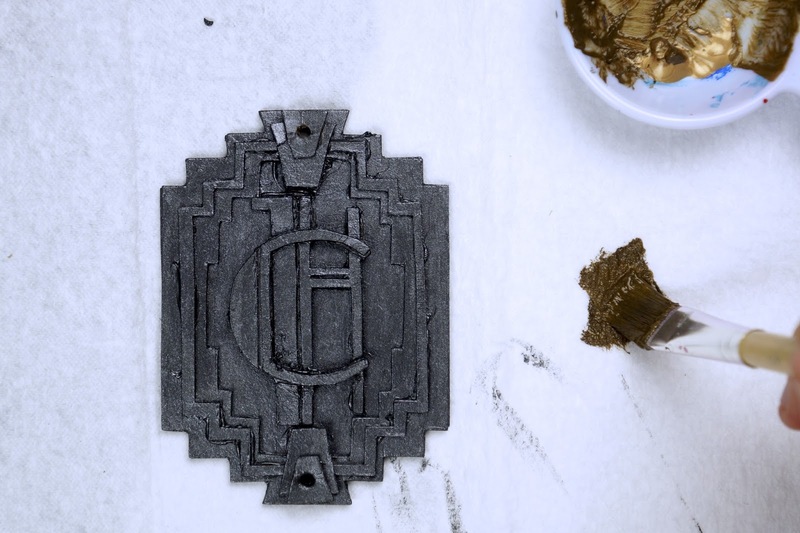 Gradually build up the bronze colour onto all of the high points of the key fob. 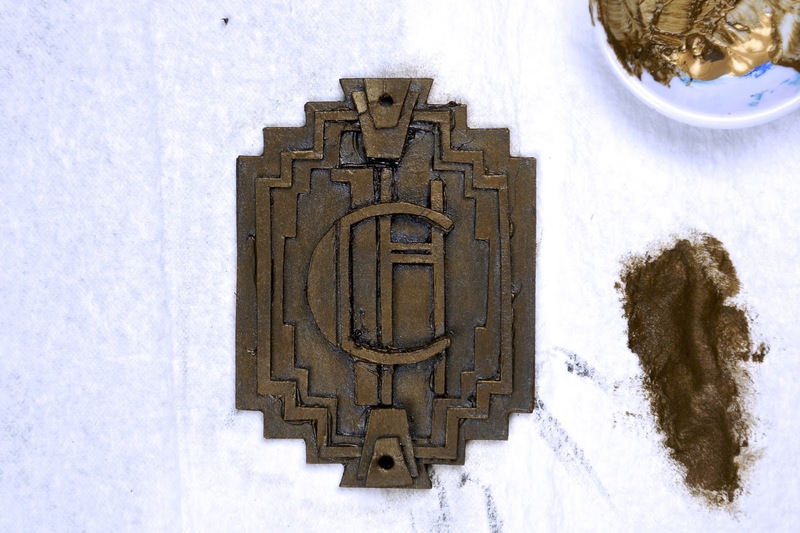 Take some gold paint and using the same technique as with the bronze paint, dry brush the lighter gold colour onto all of the highest points of the tag. 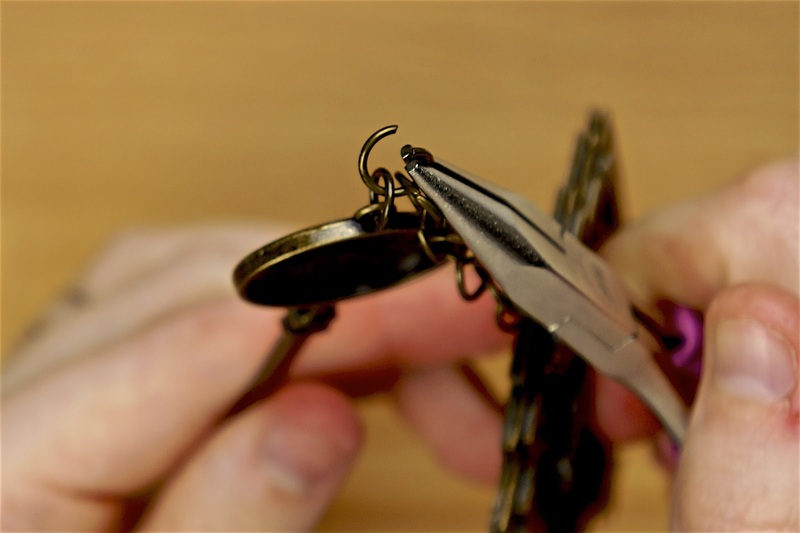 Attach a short chain or some split rings onto the bottom of the key fob (through the punched hole). 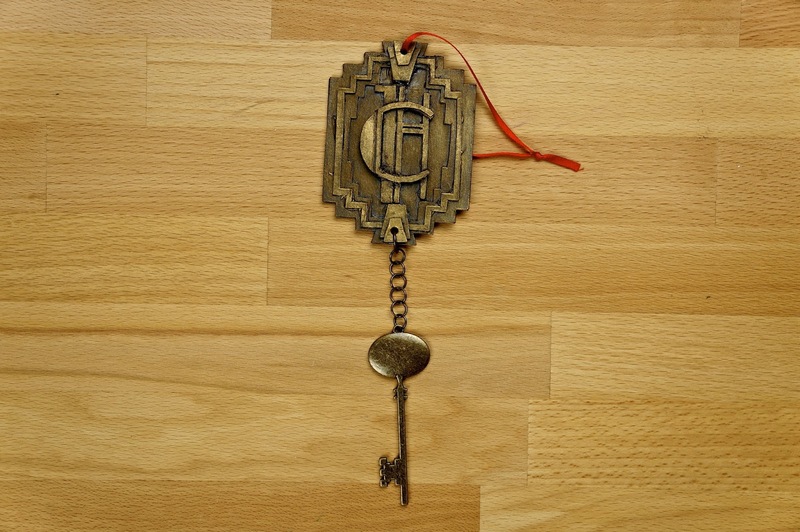 Attach your key to the other end of the chain. 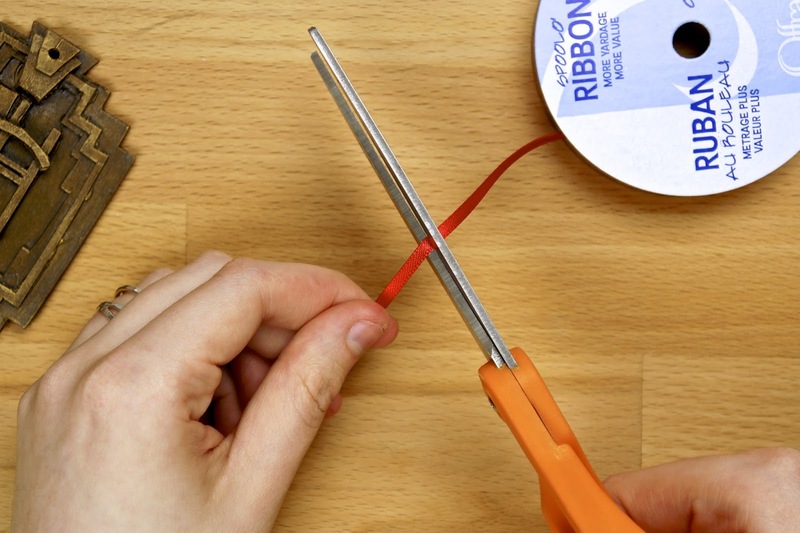 Cut a length of red ribbon or string, thread it through the hole in the top of the key fob, then tie the ends of the ribbon with an overhand knot to create a loop for hanging. 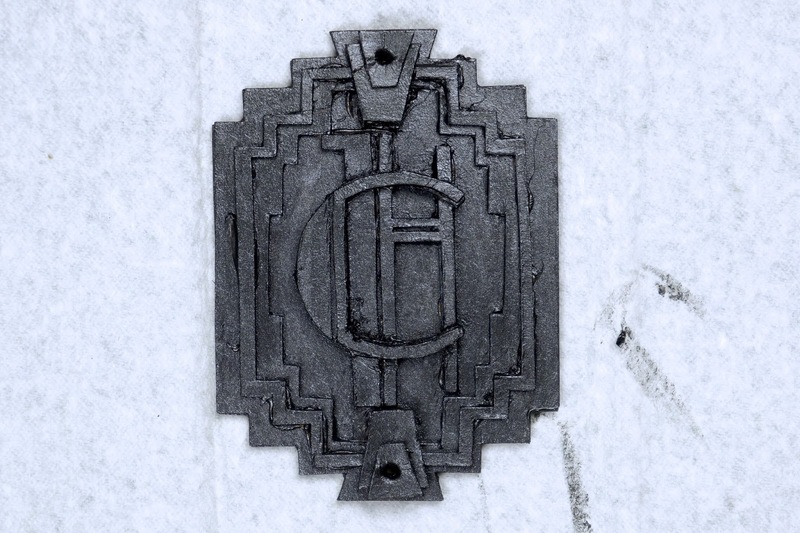 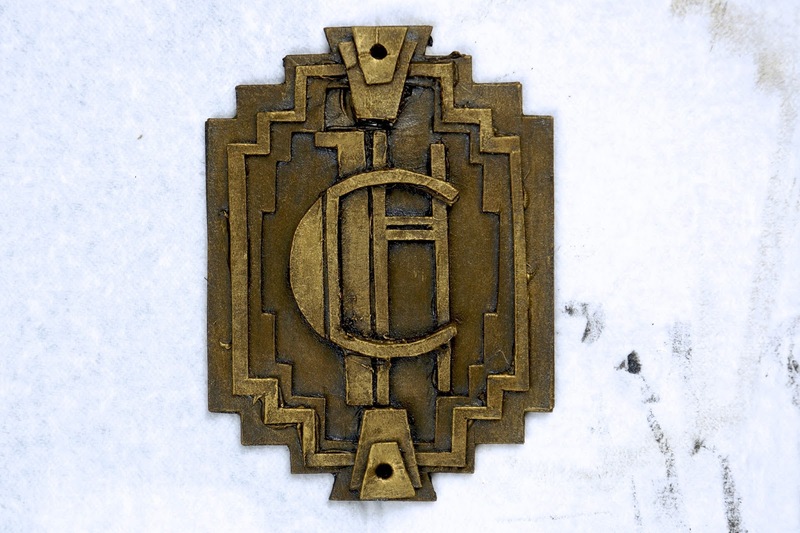 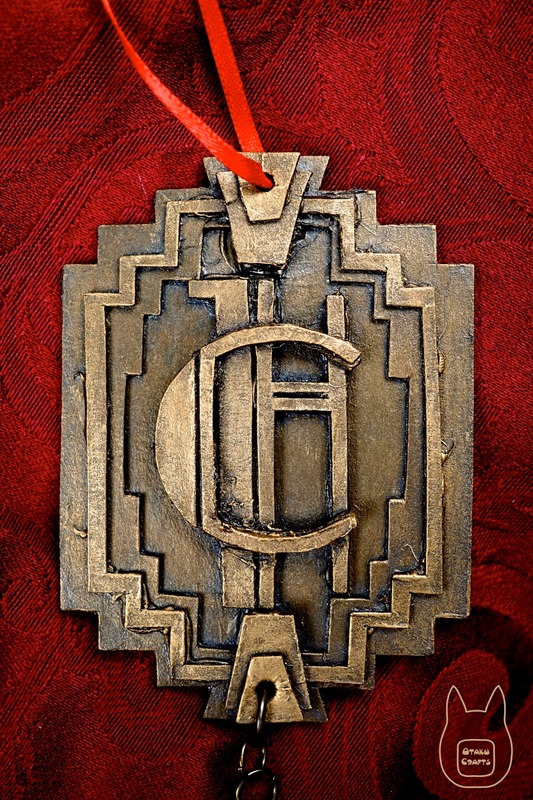 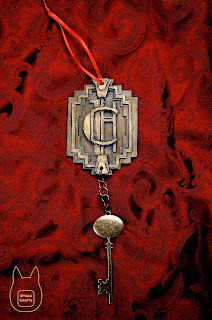 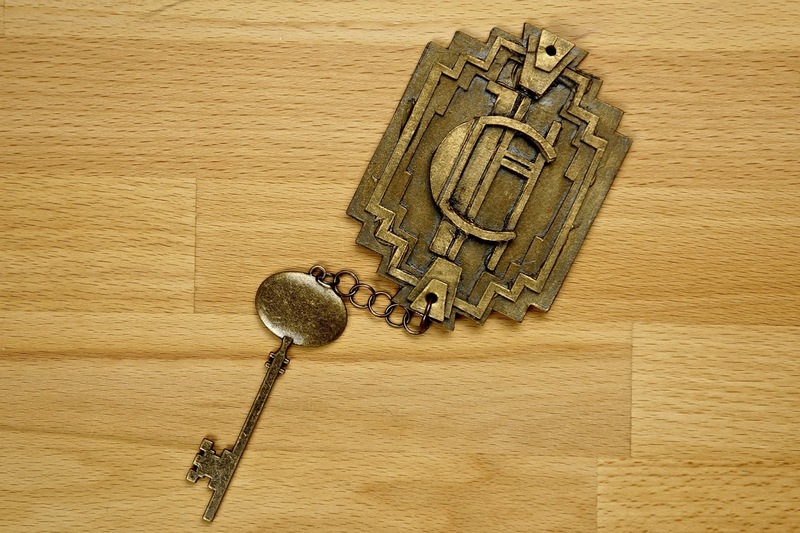 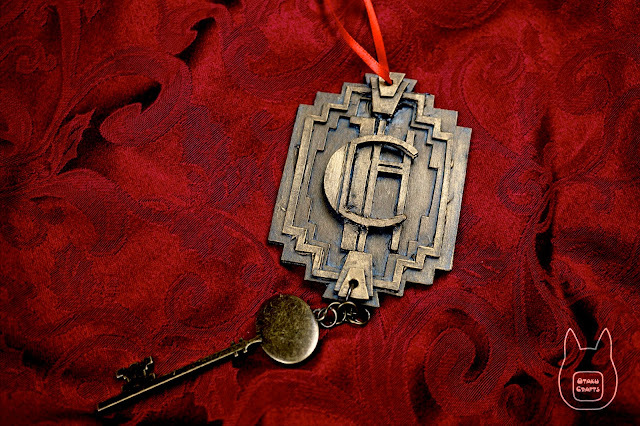 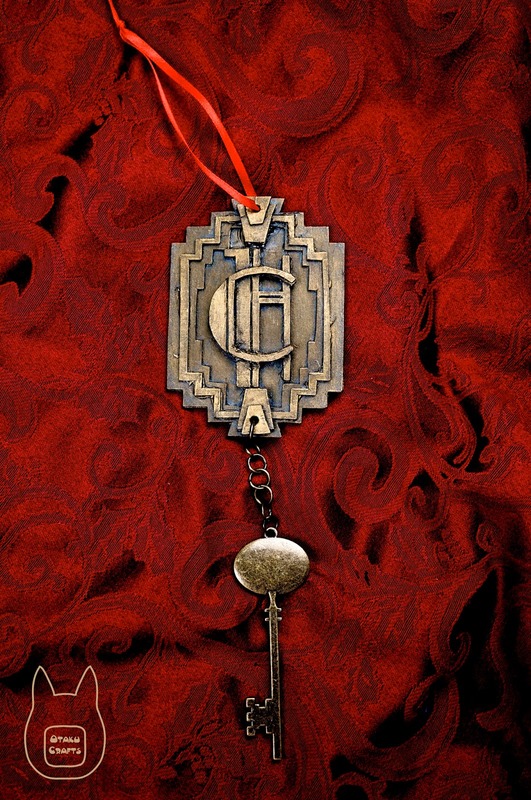 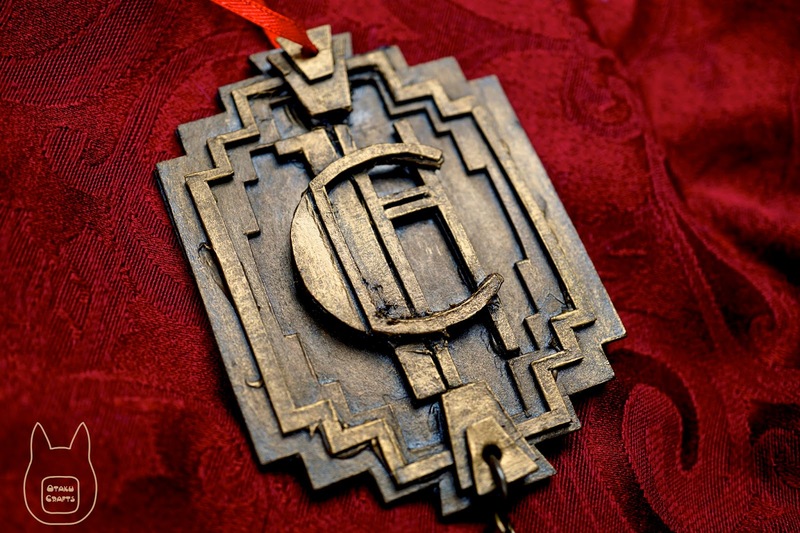 Now you have your finished Hotel Cortez room key!